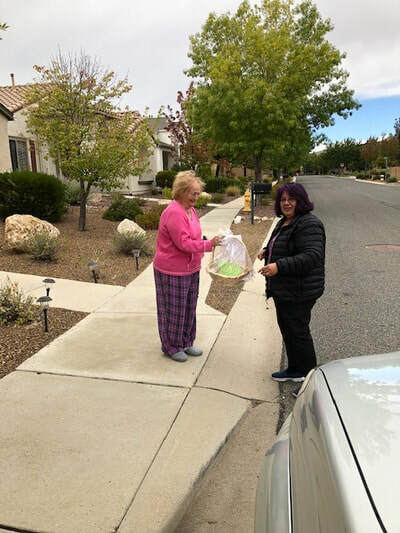 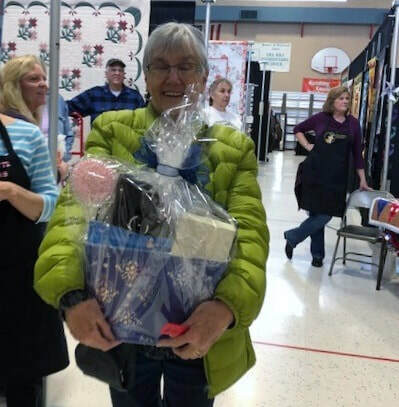 Congratulations to the Raffle Ticket Winners! 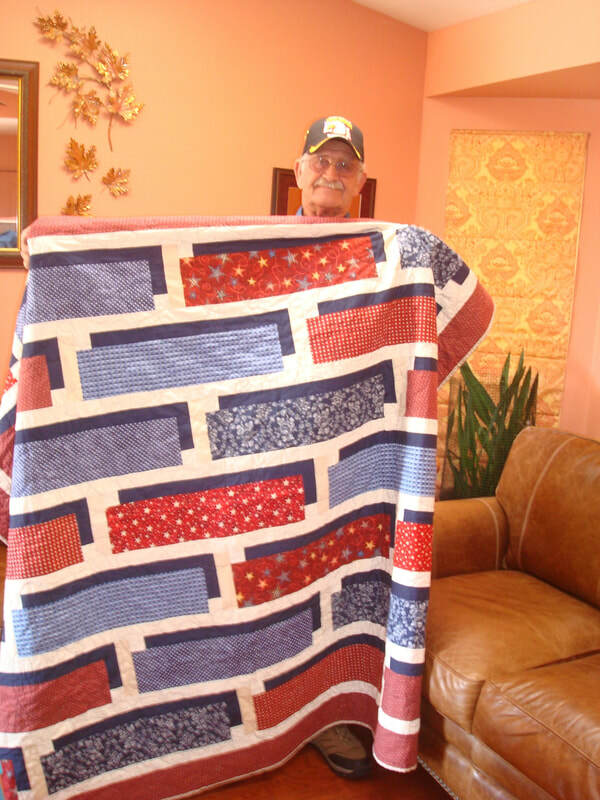 Lucky Mark Michaels won this beautiful quilt! 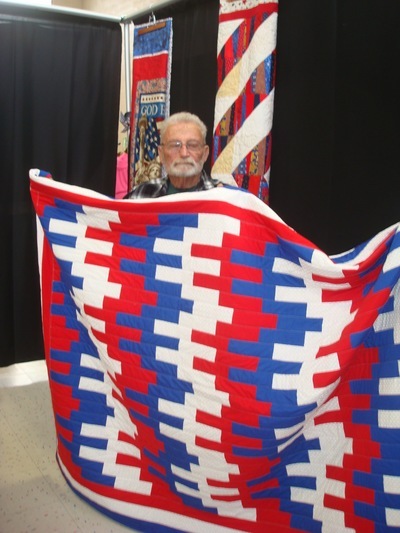 Mark is the son of Pat Smeaton, a long time member of our guild. Congratulations to Mark! 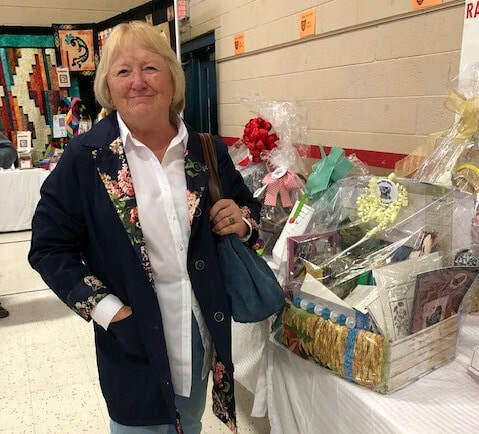 We wish to thank our Vendors that put on wonderful displays of products and also contributed to our prizes! 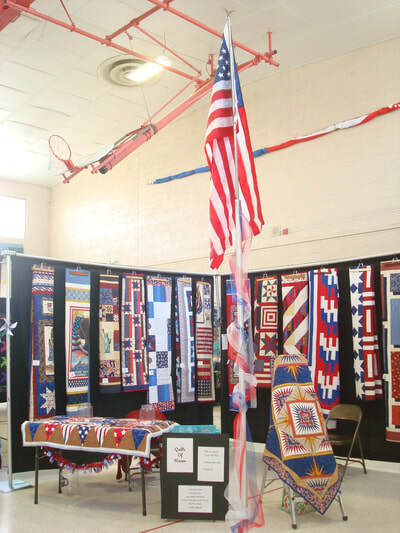 ​ Thank you also to our members that really stepped up to make our Member's booths such a success! 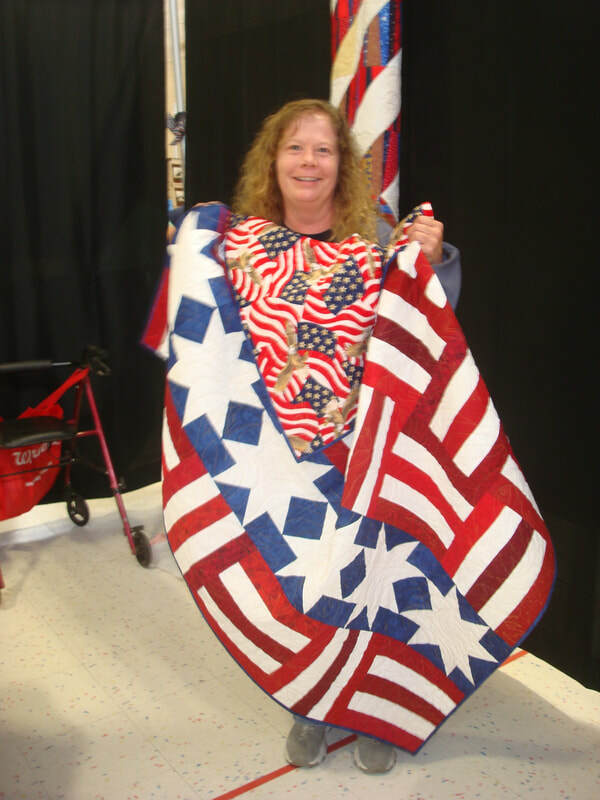 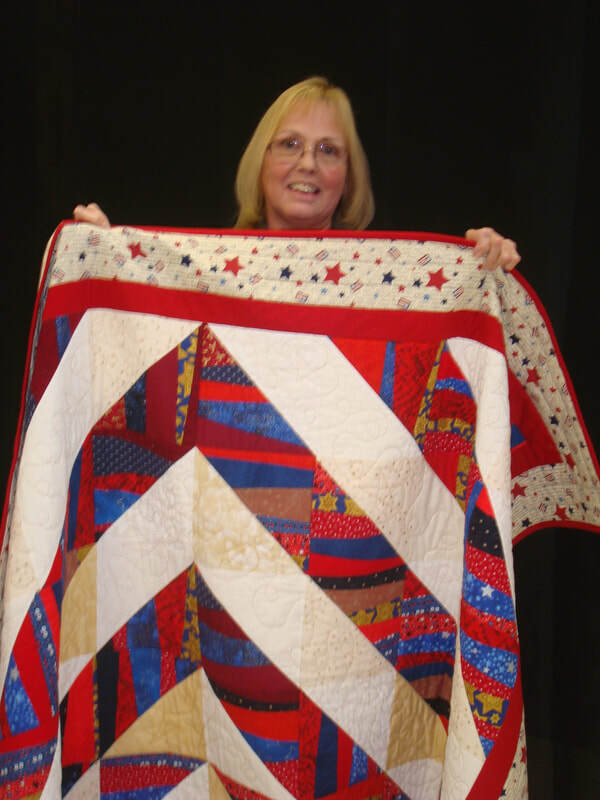 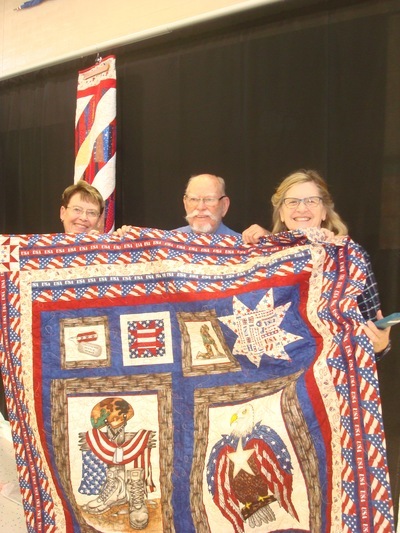 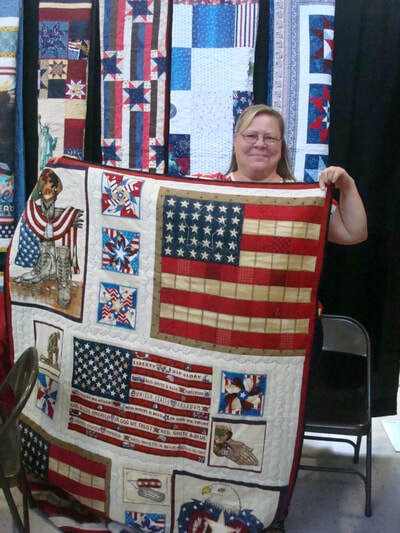 Lucille Hurley conceived of the idea that all veterans deserve a quilt for service to their country. 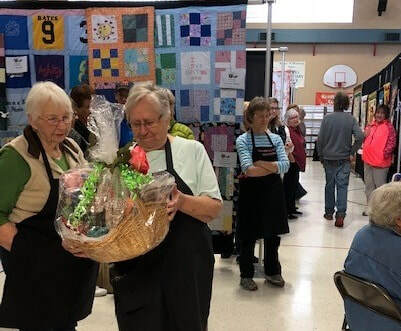 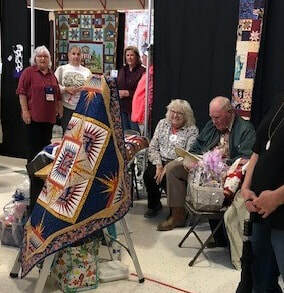 Members worked to complete 13 quilts just in time for our show. 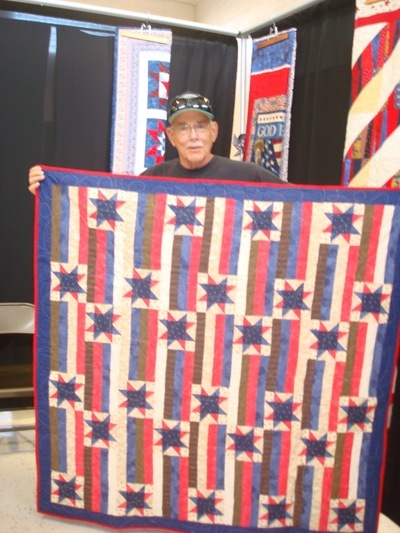 Veteran's names were drawn and they then drew a number to determine which quilt they would receive. 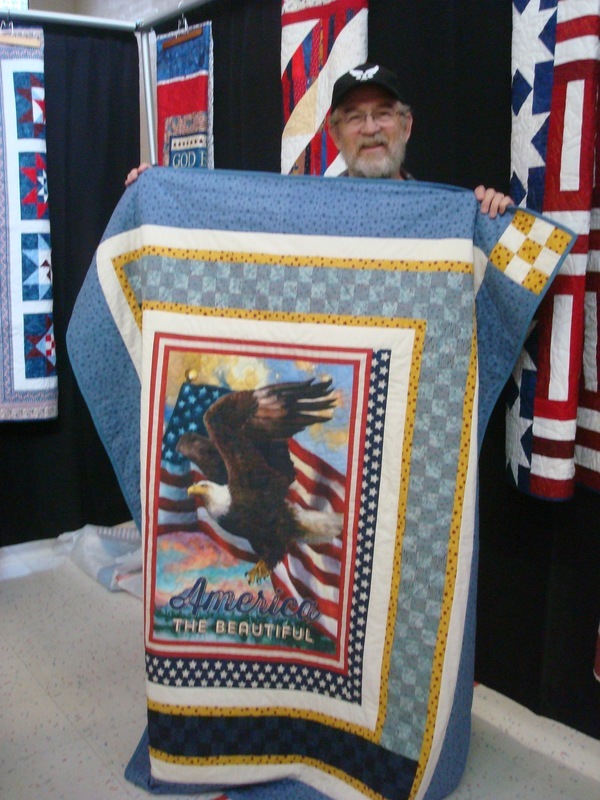 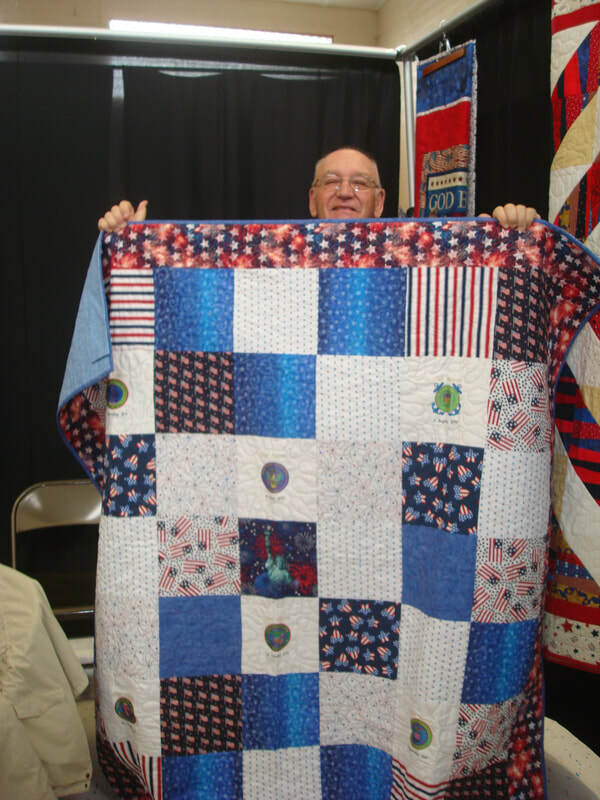 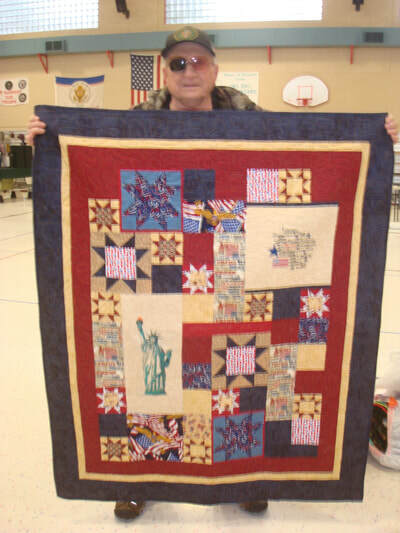 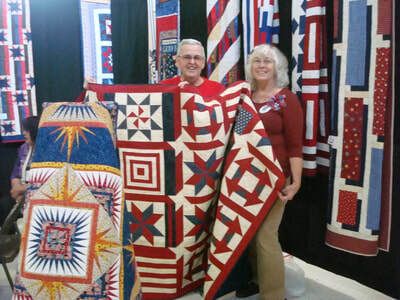 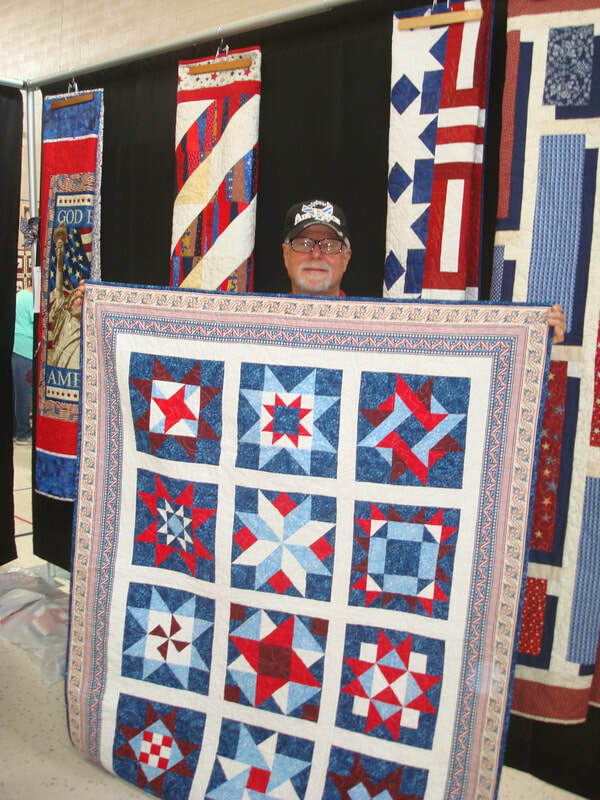 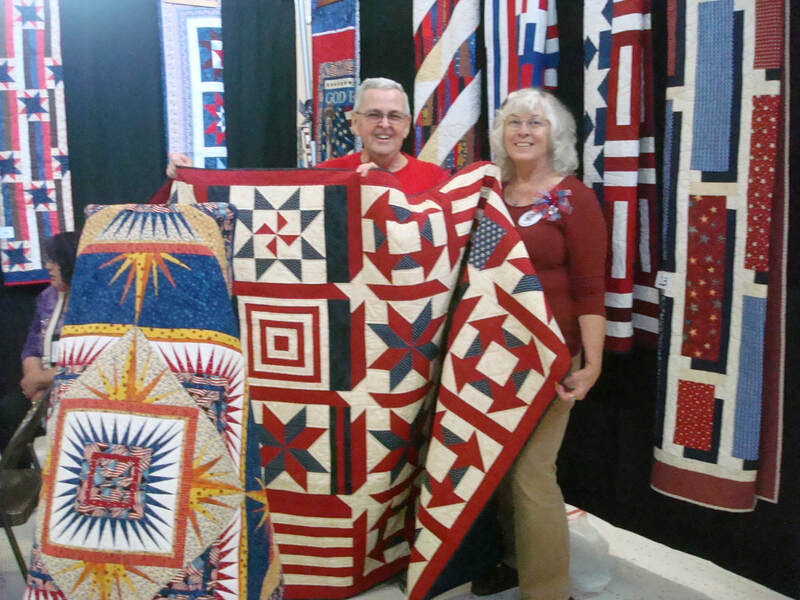 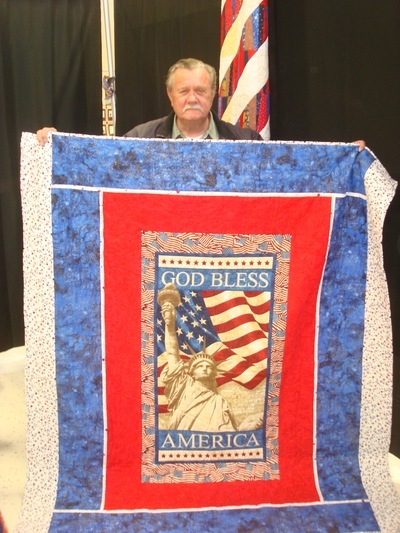 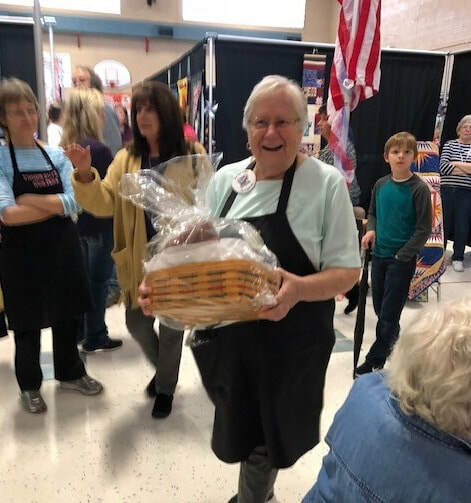 We saw many happy vet's faces as they proudly walked out with their special quilts. Thank You to all of our Service People!